Eyebrows are represented by cranes.Noses and moustaches are represented by turtles.Featured on the face of Takasaki Daruma are two very auspicious animals in Japan.Takasaki Daruma is also known as good-luck Daruma or lucky Daruma.As of 2011, there are more than 50 Daruma doll manufacturers in Gunma.Total annual shipment of Takasaki Daruma reaches as many as 900,000, accounting for the great majority of Japan’s papier-mache Daruma doll production. 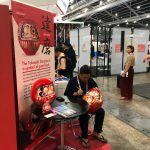 The History of Takasaki Daruma. 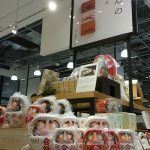 Manufacturing of Takasaki Daruma dolls was first invented by Tomogoro Yamagata approximately 200 years ago.The silk-raising farmers who lived in Toyo-oka and Yawata, created Daruma dolls during winter.Today, a majority of Japan’s Daruma dolls is produced in Takasaki city Toyo-oka,Yawata. 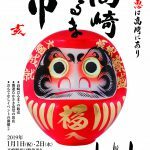 Takasaki Daruma is a Hometown Traditional Craft Art designated by Gunma Prefecture. 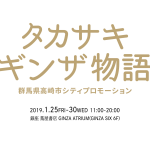 Copyright © 2019 高崎だるま All rights Reserved.